Knowing how long to keep documents with sensitive information can be confusing. 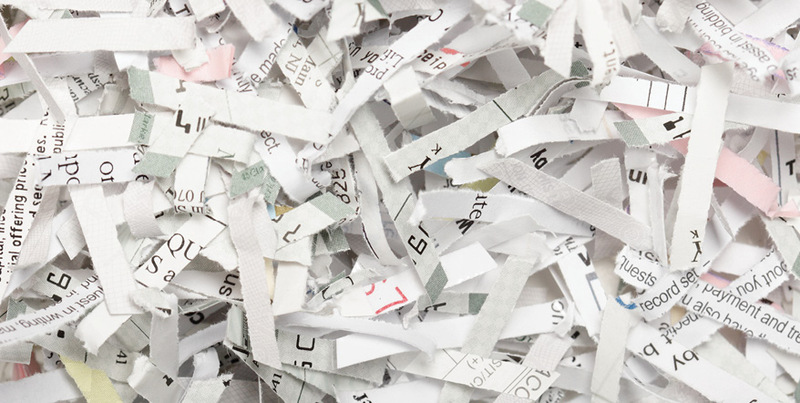 Some documents you should plan to keep forever, but others can be shredded immediately. Here’s a guide to what to shred and when. Join us for our 2019 Shred Day event! Does something have your name and address on it? Does it contain sensitive data such as account numbers, balances, or credit card numbers? If the answers to any of these questions are yes, then consider shredding it. Checks deposited through mobile apps. Learn how to deposit a check through our mobile app. Some items you will want to keep for a few months to look back on. These documents can be shredded after some time and generally are items you receive on a monthly basis. Many bills and detailed statements are now available online. Switch to electronic statements for a safe and secure record. Documentation should be kept until something is paid or sold. If you have disputed a bill, keep that until the dispute is resolved. We have several online and mobile tools available to help you maintain paperless records so you have less worry. Learn how to get set up on eStatements.